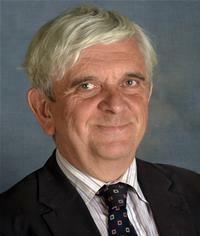 Bob has lived in Crawley since 1985 and was first elected to Crawley Borough Council in 1988. He was Deputy Leader of the Opposition from 1989-90 and 1999-2005 as well as Leader of the Opposition from 1990-96 and 2005-06. Over this period, Bob served on most council committees, chaired a number of scrutiny reviews and represented the interests of his constituents, all while maintaining full-time employment in the private sector with three different companies. Bob became the first-ever Conservative Leader of the Council in 2006 and held this position until 2013. He is the longest-serving Conservative councillor. Bob was elected to the West Sussex County Council in 2010 and has held a number of roles including Cabinet Adviser for Rail, Chairman of the Treasury Management Panel and Deputy Cabinet Member for Finance. He was appointed to the Cabinet in November 2013 as Cabinet Member for Corporate Relations followed by a move to the Highways and Transport / Infrastructure role in October 2016. From August 2018, Bob has returned to the Corporate Relations remit which now includes whole council design. He chairs the Arun Valley Line Group of the Sussex Community Rail Partnership and is Vice-Chairman of that body. Bob's interests include chess, where he holds a County Master title, fell walking, travel and photography.